Thanks for stopping by. Today we review the Pogo King Pogo stick from XNFit available on Amazon. What is the Pogo King? The Pogo King Pogo Stick is the newest addition to XNFit’s fast growing range. If you think all pogo sticks are the same then you are wrong! This pogo stick takes pogo to a new level. Made from the highest quality materials it is built to perform and last. The pogo is covered in a foam for extra padding and finished in a cool blue and white colour to make sure you look stylish whilst having fun. Why buy this Pogo Stick? It’s simple the classic toys never get old, everyone remembers a pogo stick and everyone knows how to use them. Whether you want to try and perform the greatest ticks on earth or you want to beat your friends by performing the most bounces, the fun potential of the pogo stick is endless. With the super strength of the pogo you can look to get over 4ft of air providing plenty of time to do a super trick combo. 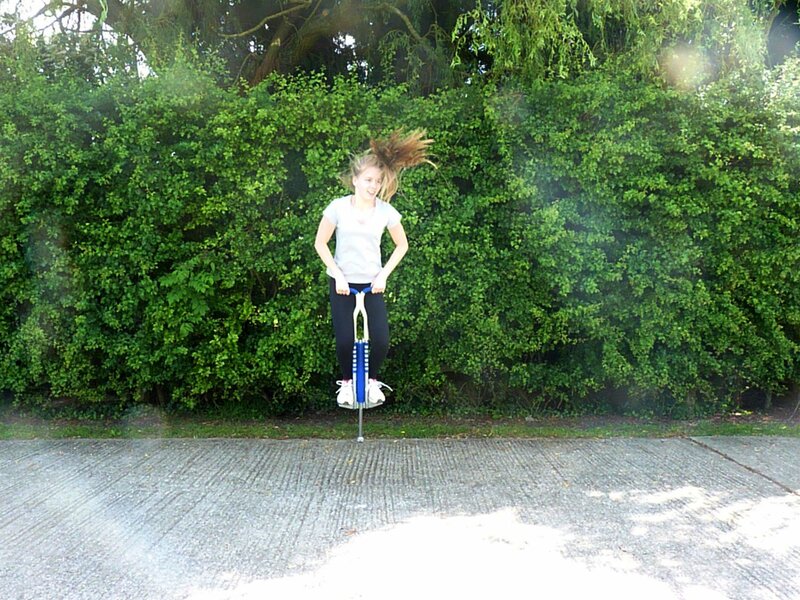 The Pogo King is the ideal kids toy to improve balance and have fun whilst keeping fit. Who can use the Pogo King Pogo Stick? 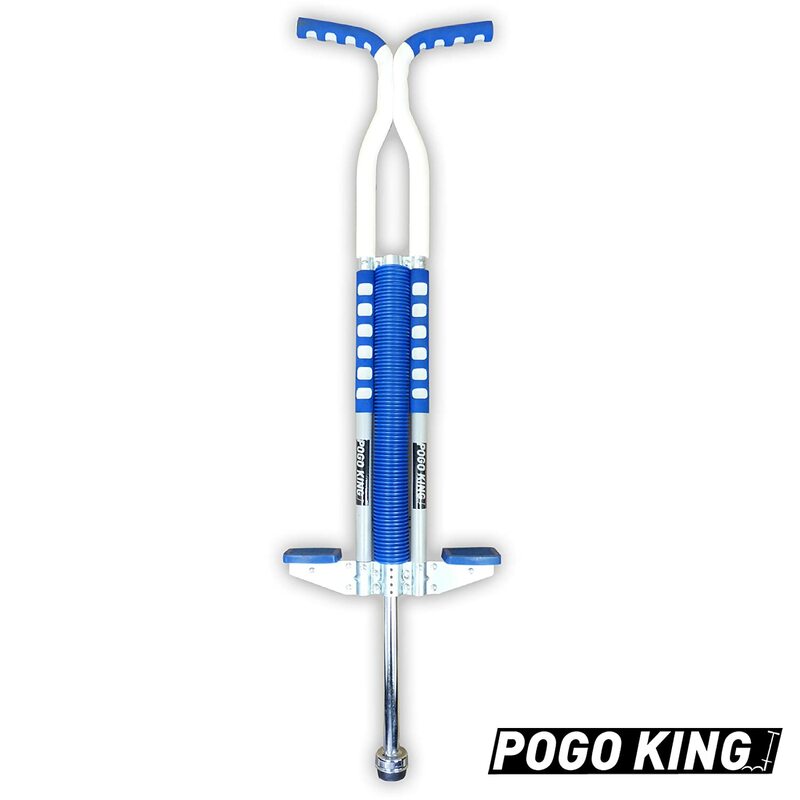 The pogo king is great fun and ideal for anyone aged 9+ weighing 80 to 160 lbs (36-72kg). Being a heavy duty pogo stick the pogo King can be used by both children and big kids (adults). The size is approximately 106cm. We found that the Pogo Stick was a little stiff to start with, but a good 20 minutes of jumping and this was sorted out. If you’re smaller in size an alternate model is also available called the Pogo Ace which is available on Amazon it is ideal for ages 5-9 or weighing 18-36kg. For added safety the Pogo King has some great additions. Not only is the metal covered in foam to offer protection it also has anti slip handles and foot pads to help reduce the risk of harm.